Here at Lexus Monterey Peninsula, we always want you to be well informed before you make a pre-owned vehicle purchase. It's important to understand vehicle history reports and how they can help you to avoid buying a car with preexisting problems. Vehicle history reports show you information about the previous owner. You can get a better idea of the car's true value in this report. It will give you detailed information about any prior damage or accidents that the vehicle has gone through. You will get odometer and mileage information as well. SUV Benefits: Should You Buy One? An SUV is a vehicle that we at Lexus Monterey Peninsula love to show off to our customers. The benefits and features of an SUV are great for people who like driving something safe, reliable, and roomy. They are good for traveling around the Seaside area or taking a long road trip. An SUV is easier to navigate in the rainy seasons. This is because they are higher off the ground and can get through water on the road easier. Some SUVs have no problem getting through flood waters. How to Use Your First Backup Camera! New safety technology is fun for us at Lexus Monterey Peninsula. We love to educate the community of Seaside about all of the changes in technology that come with new vehicles. If you are getting a new vehicle, it only takes a few times before you are used to a backup camera. Backup cameras paired with using your mirrors are a safer way to make sure there is no one behind your vehicle. You are also able to make sure that rocks, bicycles, and toys are not in your driveway. In addition to taking active steps to maintain engine components, paint finish and the interior of their car, motorists may need to combat unwanted rodent infestations. Whether you park your vehicle in a wooded area or in a garage, four-legged pests can be a problem, but there are ways to defend against vehicle damage. Do you have your heart set on a high-end luxury car this year but can't quite figure out how to afford the note? There might be a way for you to live your dream without killing your savings. Consider becoming a Lyft or Uber driver. We at Lexus Monterey Peninsula understand that your vehicle is more than a means of transportation - it's an investment, one you wish to extend and protect. Car covers can help you maintain the exterior beauty and appeal of your car, sedan, or truck. 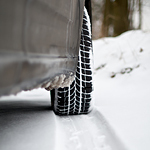 There are several key differences between all-season and winter tires that make them better for driving in various conditions. At Lexus Monterey Peninsula, we can help you choose the appropriate tires for your vehicle and get them changed out as the seasons and weather conditions change. Muffler vs. Exhaust: Is there a Difference? 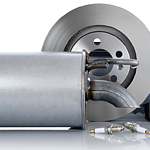 If you're like most drivers, then you've gotten used to calling your car's exhaust a muffler. You hear this all time in Seaside, but it's not just a bit of regional slang. It's technically a mistake many people make, but knowing the difference can make it easier to explain to a mechanic what's wrong with your car. Do you find yourself constantly buying tires? Do your tires not seem to last as long as they should? 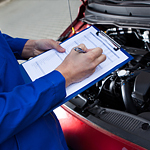 Does your car seem to be wobbly or vibrating down the road? If you answered yes to any of these questions, your vehicle may be in need of tire maintenance or new tires. 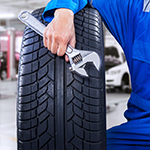 Stop at Lexus Monterey Peninsula and let us inspect your tires. 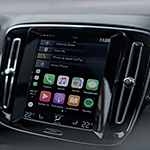 Apple CarPlay is one of the best ways to access your iPhone while behind the wheel. It is available on some newer cars but is quickly gaining traction because so many drivers are singing its praises. Apple CarPlay works with the dashboard and dials already built into your vehicle. It essentially turns your main dash into a much larger touch screen to use your phone. You just have to make sure that it is either connected with a USB cord or through wireless Bluetooth connectivity.